The iPad is a great device for streaming online videos on-the-go, one reason for this is the many excellent free Internet TV apps available for it. Here’s an overview of three of them which I use myself. With SPB TV app you can connect to about 200 live television channels from around the world, without having to set up a subscription. Among the many channels available you’ll find a few big news channels, music channels, and many video-on-demand ones, each coming with an informative TV guide. What I like most about SPB TV is that the app remains connected to a live television channel even when my Wi-Fi connection is not perfect. This ensures few to no interruptions, and makes watching TV on-the-go a less frustrating experience. One of the cool features of the SPB TV app is the Picture-in-Picture mode, through which you can browse channels more quickly and effectively. 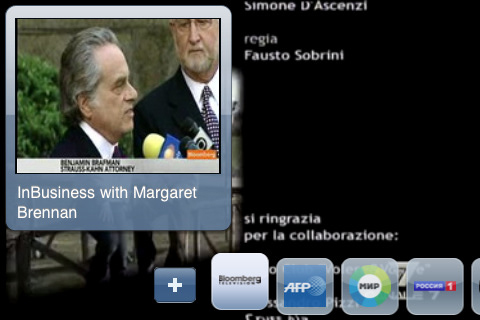 Overall, SPB TV is one of the best apps of its kind available, being stable and feature-rich, as well as easy to use. With this app you can truly enjoy a huge amount of video content. It allows you to watch Internet TV channels, favorite TV sitcoms and full-length movies, as well as schedule DVR recordings in advance. Note however that in order to fully enjoy TV episodes and movies you may have to get a video-on-demand subscription. A cool feature of XFINITY TV is the possibility to watch local TV channels in real time, through the Wi-Fi connection. You also get local TV listings, a channel keypad, and the possibility to check the schedule of your favorite TV shows. XFINITY TV comes with a capable Parental Control feature, which you may use to restrict what your children can watch. I find the Parental Control feature in this app better than most other similar apps I’ve checked so far, and for me this is a big plus. 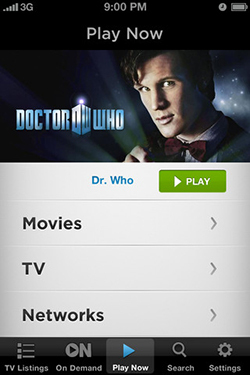 If you’re a cable TV fan, like I am, you’ll probably enjoy the TW Cable TV app. If you’re not, then I think it’s still worth checking it out, provided of course that you already have a Time Warner subscription. Using this app helps you get more out of your subscription. You can use it to see your favorite programs on-the-go on your iPad, including streaming live Internet TV though the Wi-Fi connection. As long as you manage to set up a stable connection, you should enjoy a flawless video streaming experience. 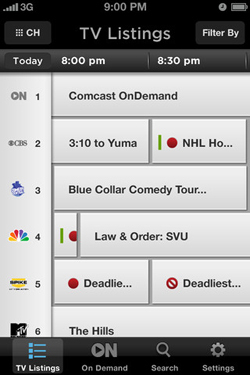 TW Cable TV app comes with a channel guide providing extensive information on what programs and sitcoms will be available in the next week. In regard to the channel guide, this app is superior to perhaps any other I’ve tried so far – the information is easily accessible and always accurate. On the other hand, TW Cable TV app doesn’t have much Parental Control, only letting you create a user account protected by a password. Putting the lack of Parental Control aside, TW Cable TV is an excellent Internet TV app for the iPad, with an easy-to-use interface and plenty of features. SPB TV, XFINITY TV, and TW Cable TV are all TV Apps available for free through the Apple App Store.